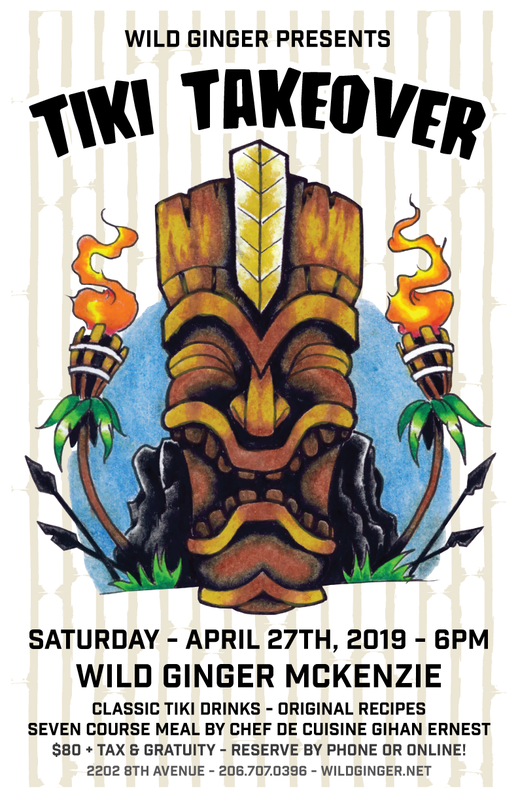 Join us for a special ‘Tiki Takeover’ dinner, April 27th at Wild Ginger McKenzie in South Lake Union! If you have dietary restrictions we are more than willing to accommodate you, just please call and give us a heads up! The above total of $105.70 includes 1 reservation, 20% gratuity, and sales tax.